Meeting with someone important or attending events? 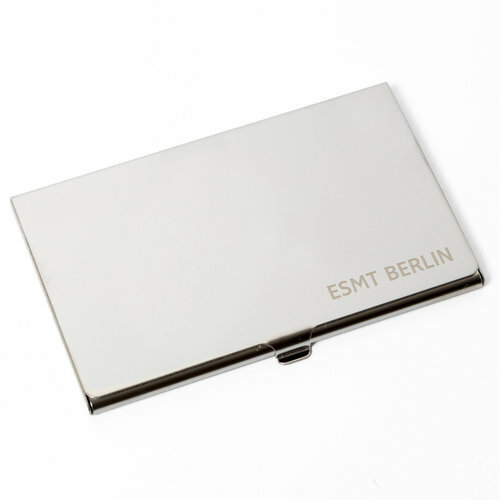 Use the stainless steel ESMT business card holder to keep your business cards organized in one place. 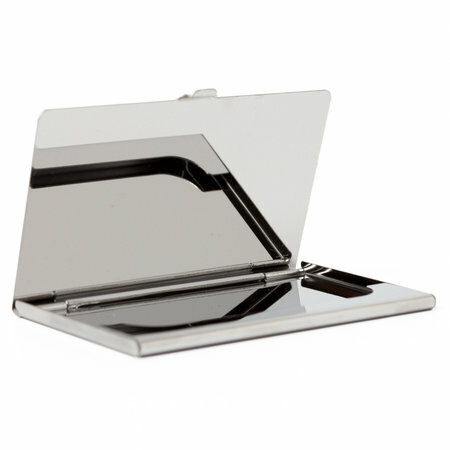 The holder sports a slim unisex design and stores approximately 10 business cards. 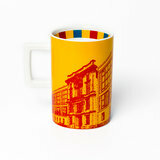 With glossy finish and engraved ESMT Berlin lettering.